SF Beautiful partners with the SFSU and the SF Planning Department to study the impacts of the parklets program and recommend improvements. SF Beautiful intern Sida Li tested the draft Parklet survey tool designed to determine the standards by which parklets are determined to be healthy, safe, clean, and green. A recommended plant list will be completed to support designers and improve the performance of future parklets. Urban Studies students from SFSU researched the distribution of parklets were there geographic or ethnographic indicators that affect which neighborhoods have parklets and which don’t? 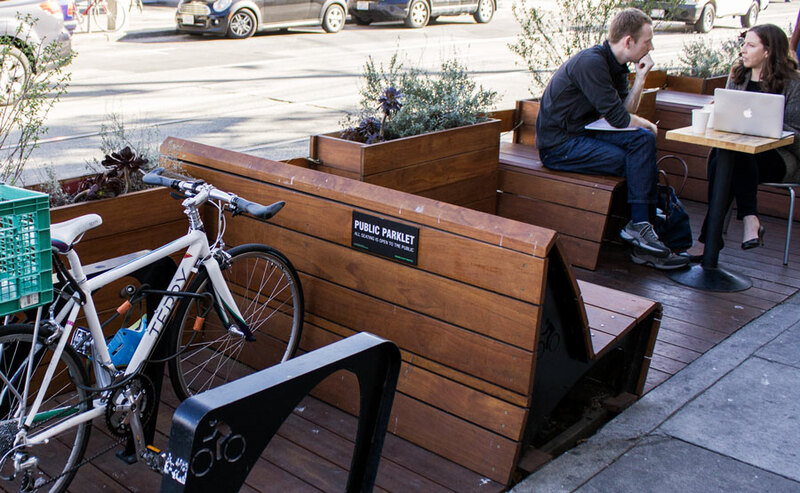 Economics did not seem to impact distribution, however African American, Asian, and Latino communities were underrepresented when it came to access to nearby parklets. Urban Studies students from SFSU investigated how parklets and Pavement to Parks plazas fit into the fabric of San Francisco — how do they work? what are the challenges in creating and maintaining these unique spaces? We hosted 3 public forums with panelists from the Planning Department, the Department of Public Works, Supervisor Scott Wiener’s office, Castro Business Improvement District, Union Square Business Improvement District, and others to answer questions and imagine what might be next for these spaces. Long term maintenance plans and reporting were recommended.